Littleton High achieved a milestone for its girls' program on Friday. For the first time in the school's history, the Lady Tigers can call themselves state champions. 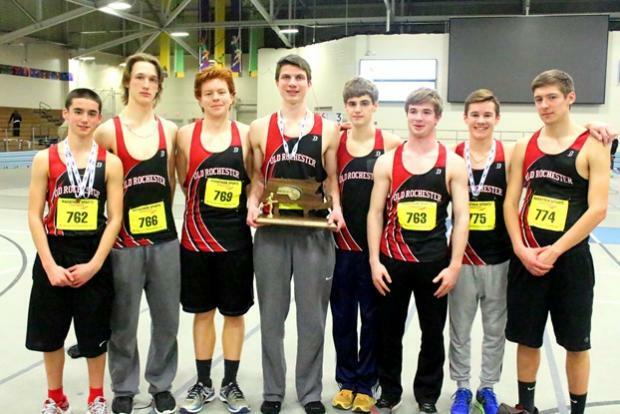 With some key points in several events, including a 1-2 finish in the mile run, Littleton claimed the Division 5 crown with a 49-36 win over second-place South Hadley. In the boys' competition, Old Rochester ended a 10-year drought (indoor and outdoor) with an impressive 46-38 victory over runner-up Newburyport. For the girls, Littleton managed to earn its victory with just a handful of scorers. The Tigers got a crucial 18 points from twin sisters Sarah and Kaitlyn Roffman in the first race on the oval, the mile run. Sarah clocked a winning time of 5 minutes, 4.14 seconds. Kaitlyn secured second at 5:12.90. Littleton solidified its team title with a winning effort from its 4x800m squad, which was timed in a combined 9:57.91. Old Rochester had a big day from senior Danny Renwick, who took the 55-meter hurdles and cleared a meet record of 6 feet, 8.25 inches in the high jump, a PR and the best in the state. Renwick also lent his footspeed in the winning 4x400m (9:57.91).